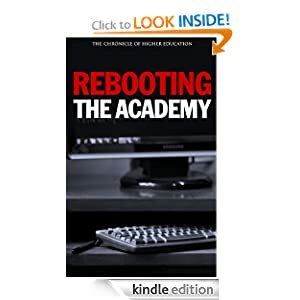 After about five months of work, we’ve published the e-book version of The Chronicle’s Rebooting the Academy. I co-edited the e-book and wrote the introduction. I enjoyed working with the twelve innovators on their essays, and it’s incredible how easy the technology has become to format and distribute a book on popular e-book stores including Amazon and Barnes & Noble. We got a write-up in Digital Book World, and interest from a teaching journal and some libraries. Coursera has been operating for only a few months, but the company has already persuaded some of the world’s best-known universities to offer free courses through its online platform. Colleges that usually move at a glacial pace are rushing into deals with the upstart company. But what exactly have they signed up for? And if the courses are free, how will the company—and the universities involved—make money to sustain them? I obtained the agreement between Coursera and the University of Michigan at Ann Arbor, the first public university to make such a deal, under a Freedom of Information Act request, and wrote this news analysis of what it reveals about the company’s plans to make revenue. Bill Gates never finished college, but he is one of the single most powerful figures shaping higher education today. That influence comes through the Bill & Melinda Gates Foundation, perhaps the world’s richest philanthropy, which he co-chairs and which has made education one of its key missions. I sat down with him to talk about his vision for how colleges can be transformed through technology. The interview was picked up by MSNBC’s Web site, The Huffington Post, Marketplace’s Mid-Day Update, and Slashdot, among others. From his cell in a “supermax” prison in Colorado, The Unabomber has been writing what amount to sequels to his anti-tech manifesto. 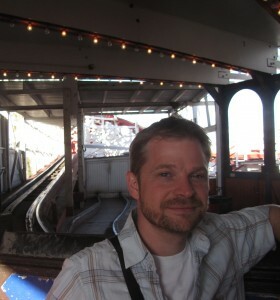 And a philosophy professor at University of Michigan at Dearborn has served as a sort of editor, encourager, and fan. I profiled the professor, David Skrbina, for this week’s cover story in The Chronicle Review. The piece has been featured in The Browser, Byliner, Hacker News, The Wall Street Journal’s Ideas Market blog and their AllThingsD Voices section. I joined the conversation at WAMU’s Kojo Nnamdi show this week to talk about the future of online courses. My latest College 2.0 column breaks the story of an emerging-media professor who built a Facebook app that lets people declare ‘enemies’ (meant loosely). The tale is getting picked up all over — from MSNBC to The Times of India. Even Sarah Palin commented about it — In an appearance on the Today show, she was asked what she thought of the new Facebook enemy app. PowerPoint is boring. Student attention spans are short. Today many facts pop up with a simple Google search. And plenty of free lectures by the world’s greatest professors can be found on YouTube. Is it time for more widespread reform of college teaching? This series explores the state of the college lecture, and how technologies point to new models of undergraduate education. The Chronicle of Higher Education profiled 12 of the top technology innovators in higher education. The goal is to highlight people doing the most exciting work around higher education and technology. Subjects represent many areas within academe (teaching, libraries, scholarship, online learning, etc.) and outside of it (companies and publishing). We spotlighted people who are thinking big about how technology can change education—and putting their ideas into practice. These are profiles, so the goal is to tell stories—what people are like, how they got to where they are, what impact they’ve made, why these issues matter to them. Are classrooms prepared for e-textbooks? I’m briefly quoted in this public radio piece about student attitudes toward digital books. I was also interviewed on this Marketplace mid-day extra about student reaction to the daylong Wikipedia outage. Update: I wrote a news-analysis about the educational-badges trend for the Wall Street Journal’s Weekend Review.